The trend is quite young, but it is growing exponentially. 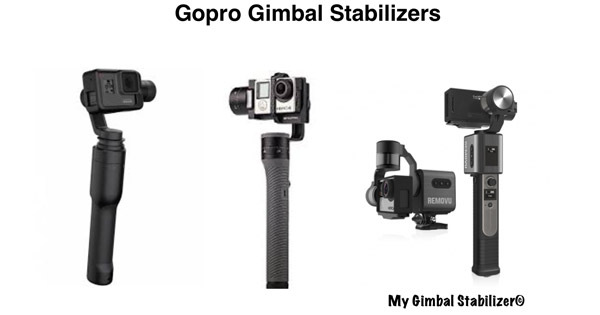 Indeed, ever more people are using Gopro gimbal stabilizers nowadays. The trend initially spread in the sport area in which stabilization is really required. Indeed, if we take skiing for exemple, videos have won a significant quality thanks to Gopro gimbals. Nowadays, this is not only a toy for sportsmen. Indeed, you can find some gimbals during your vacation at the sea, or, basically, everywhere. Why are Gopro gimbals facing such a success ? First, let’s come back on a very simple question : what are Gopro gimbals ? Even though they are getting ever more famous, there’s still plenty of people who have absolutely no idea about what it is. Therefore, we’ll do a very short presentation, even though you can find it on our site on our “Gopro gimbals” page. Stabilizers are basically poles with integrated stabilizer. These are also called gimbals, and are, most of the time, equipped with 3 brushless motors. Thanks to a very precise and innovative algorithme, your Gopro gimbal will manage to get rid of every vibration you could meet during your videos. Unfortunately, there is, for the time being, no gimbal which is able to get rid of 100% of the vibration. But, honestly, it’s really close to perfection. When you know how many people like to share videos, be it on Facebook, Youtube,… you really swiftly understand why they are facing a growing success. Initially, gimbals were developed in Asia and in the US. In Europe, for instance, this is something only a few people know about. In the months or years to come, it will definitely be known worldwide. What is the best Gopro Gimbal ? This question is quite tricky to answer. Indeed, as you can see in our Removu S1 review, this is, according to us, the best Gopro gimbal stabilizer. Yet, for many people, other gimbals may be better, and we truly understand their choice. Indeed, our reviews are all done with 6 criteria that matter for matter a lot for us. Still, for other people, some criteria might be more important. If, for instance, the price is your most important criterions, then, the Removu S1 won’t be the best Gopro stabilizer, for sure ! In this case, you should turn to the Feiyu G4S or the Zhiyun Evolution which are really cheap. In the end, as you can see, it is very difficult to say that “this” gimbal is better than all the others. We’ve made a Gopro gimbal comparison and ranking, but it is only the result of our personal impression. You may certainly have an other point of view. You should take into account the fact that we’ve tried more than 20 gimbals, though. Therefore, we have quite a good experience in this area and, normally, if we tell you that a gimbal is good, you can believe us. Next Gopro Karma Grip : why do we like it ? Why don’t we ?